Another demanding tee shot for the final par 5. A high premium is placed on hitting the fairway from the tee. 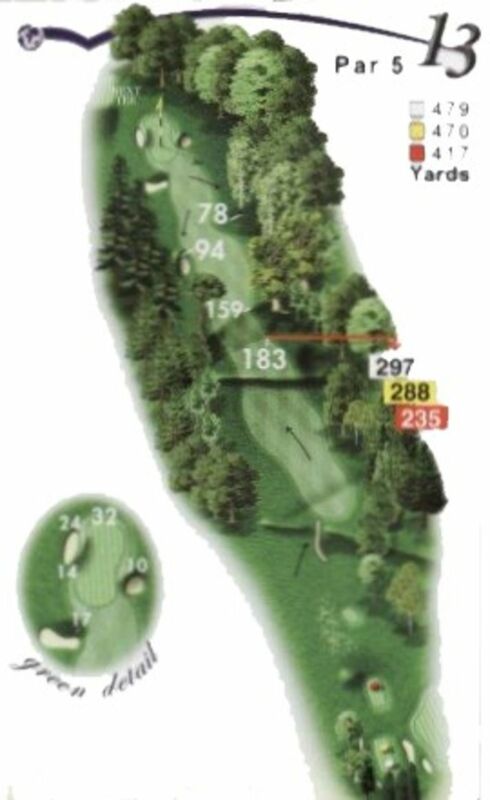 This will provide you with a great angle to thread your second shot through the trees 150 yards from the green. Ball rolling towards the left hand side of the green will often be gathered by the bunker.